Enter Mitro, which is a company from several former Googlers that is trying to attack the problem of password sharing for the families, friends and the enterprise. 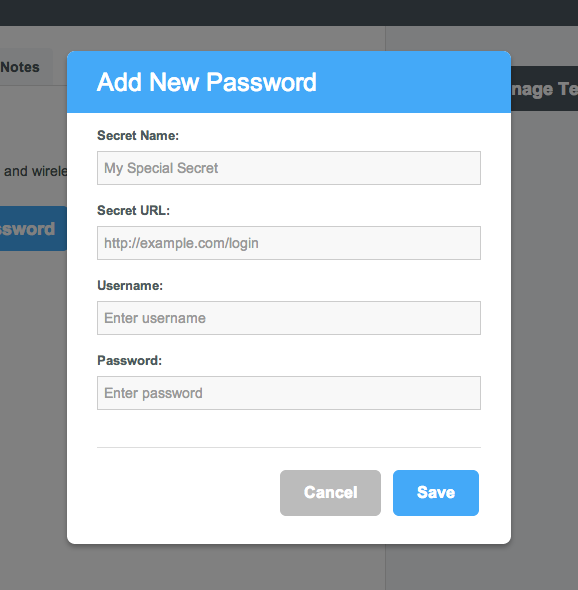 It’s an extension that works with a web browser to save passwords and help people log into sites automatically. “Passwords are breeding like rabbits and no one takes security of these things seriously,” said Mitro co-founder and CEO Vijay Pandurangan. Founded by three former Google engineers, New York-based Mitro is backed by $1.2 million in seed funding from Google Ventures and Matrix Partners. Right now, it works with Chrome, but Firefox and Android are in beta. The company is also working on versions for iOS and Safari too. In Mitro, you can set up teams of people that you share passwords with. When you or they visit a password-protected destination that you’ve shared a log-in for, the browser extension will kick in and ask you if you want to sign in using Mitro. That way, you don’t ever have to remember a password when you get there. For Mitro users, their passwords get encrypted through keys that are stored on Mitro’s servers. When a person first creates an account, Mitro generates a public and private key. The private key is encrypted using a passphrase key, and then both the public key and encrypted private key are stored on Mitro’s servers. When passwords are shared with other team members, the service also generates new public and private keys for those users as well. A team’s private key is encrypted for each member, so only that individual can decrypt it. Mitro also tracks devices, so if a user logs in from a new device that the server doesn’t recognize, it will send an e-mail verification. The company also supports two-factor authentication if users want an extra layer of security where they’ll need both a password and a temporary code generated by their phone. For those who are less concerned about security, there’s also a “Remember Me” option for the browser extension, so that people don’t have to keep typing in their Mitro passwords. The service is totally free right now. But one could easily imagine that the startup could implement freemium pricing later on with extra features for paying users.